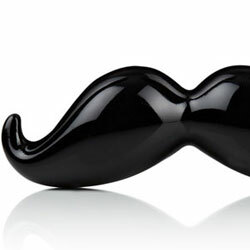 Mustaches and monocles have long been associated with wealth and refinement and are worn by heroes and villains alike. 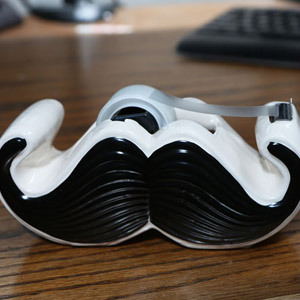 A mustache and monocle transforms any mundane object into something dapper and dashing. 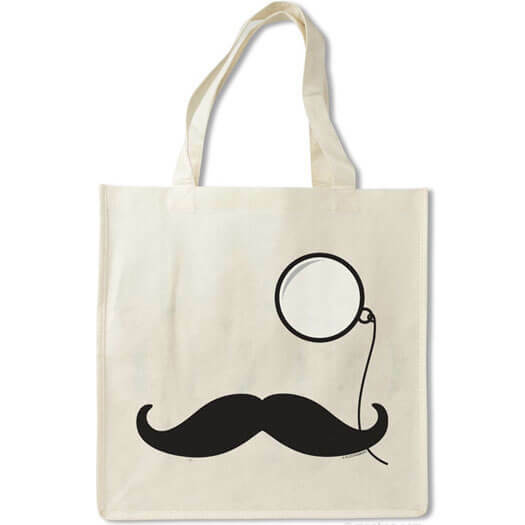 This bag speaks to your mysterious nature, your love of the finer things in life, and your concern about the environment. 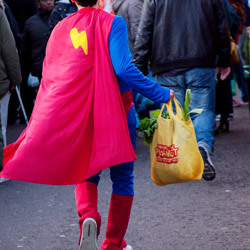 That's a powerful shopping bag! Each 41.9 x 45.7 x 9.5 cm reusable bag is made of a rayon material created from bamboo. 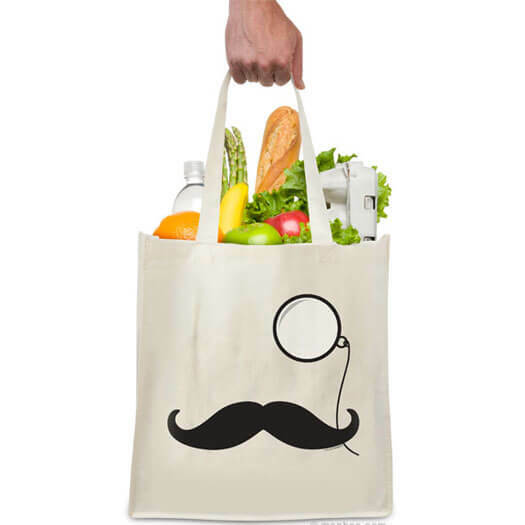 Bamboo is one of the most abundant and renewable resources around, which makes this bag the clear choice for the environmentally conscious modern dandy.